Written in a conversational style that transforms complex ideas into accessible ones, this international best-seller provides an interdisciplinary review of the theories and research in cross‐cultural psychology. The book’s unique critical thinking framework, including Critical Thinking boxes, helps to develop analytical skills. Exercises interspersed throughout promote active learning and encourage class discussion. Case in Point sections review controversial issues and opinions about behavior in different cultural contexts. Cross‐Cultural Sensitivity boxes underscore the importance of empathy in communication. Numerous applications better prepare students for working in various multicultural contexts such as teaching, counseling, health care, and social work. The dynamic author team brings a diverse set of experiences in writing this book. Eric Shiraev was raised in the former Soviet Union and David Levy is from Southern California. Sensation, perception, consciousness, intelligence, human development, emotion, motivation, social perception, interaction, psychological disorders, and applied topics are explored from cross‐cultural perspectives. Over 200 recent references, particularly on studies of non-western regions such as the Middle East, Africa, Asia, & Latin America as well as the US and Europe. New chapter on personality and the self with an emphasis on gender identity. New or revised chapter opening vignettes that draw upon current events. More examples related to the experiences of international students in the US and indigenous people. Many more figures and tables that appeal to visual learners. New research on gender, race, religious beliefs, parenting styles, sexual orientation, ethnic identity and stereotypes, conflict resolution, immigration, intelligence, physical abuse, states of consciousness, DSM-5, cultural customs, evolutionary psychology, treatment of psychological disorders, and acculturation. Revised methodology chapter with more attention to issues related specifically to cross-cultural research and more on qualitative and mixed methods. A companion website at www.routledge.com/9781138668386 where instructors will find a test bank containing multiple choice, true and false, short answer, and essay questions and answers for each chapter, and a complete set of tables and figures from the text; and students will find chapter outlines, flashcards of key terms, and links to further resources and the authors' Facebook page. Intended as a text for courses on cross-cultural psychology, multicultural psychology, cultural psychology, cultural diversity, and the psychology of ethnic groups and a resource for practitioners, researchers, and educators who work in multicultural environments. Dr. David A. Levy has extensive experience as a teacher, therapist, writer, and researcher. He is Professor of Psychology at Pepperdine University's Graduate School of Education and Psychology, where he has been teaching graduate courses since 1986. He received his B.A. degree in theater arts from UCLA, a M.A. degree in psychology from Pepperdine University, a second M.A. degree in psychology from UCLA, and his Ph.D. in psychology from UCLA, where he specialized in social psychology, with minors in psychological assessment and personality psychology. He served as Visiting Professor of Psychology in the Soviet Union, where he delivered lectures and workshops in psychology and psychotherapy at Leningrad (now St. Petersburg) State University, the Leningrad Academy of Science, and the Bekhterev Psychoneurological Institute. He was honored as a Harriet and Charles Luckman Distinguished Teaching Fellow at Pepperdine, and was a recipient of the Shepard Ivory Franz Distinguished Teaching Award and Charles F. Scott Fellowship at UCLA. Dr. Levy holds professional licenses both in psychology and in marriage and family therapy. He has worked in a wide range of private practice and inpatient psychiatric settings, he has supervised clinical interns, and he has utilized his expertise in psychological testing (particularly the MMPI) in forensic cases. His numerous theoretical and empirical research studies have been published in scientific journals and presented at professional conferences. His book, "Tools of Critical Thinking: Metathoughts for Psychology," garnered widespread acclaim in both academic and clinical settings for its innovative approaches to improving thinking skills. 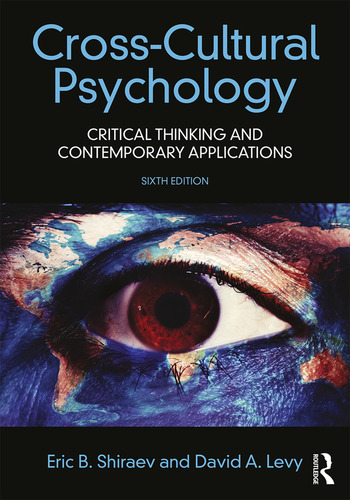 Levy co-authored (with Eric Shiraev) "Cross-Cultural Psychology: Critical Thinking and Contemporary Applications," which became an internationally best-selling textbook. Levy is the author of "Family Therapy: History, Theory, and Practice," which was the first textbook on the topic available to Russian readers. His Levy Optimism-Pessimism Scale (LOPS) has been utilized internationally in a variety of research contexts, and he is a member of the Board of Editors for the Journal of Humanistic Psychology. Levy is also the author of numerous satirical articles, including "The Emperor's Postmodern Clothes: A Brief Guide to Deconstructing Academically Fashionable Phrases for the Uninitiated," "How to Be a Good Psychotherapy Patient," "Psychometric Infallibility Realized: The One-Size-Fits-All Psychological Profile," "Stinks and Instincts: An Empirical Investigation of Freud's Excreta Theory," and "A Proposed Category for the Diagnostic and Statistical Manual of Mental Disorders (DSM): Pervasive Labeling Disorder." As a media consultant, Levy has appeared on dozens television and radio broadcasts (including CNN, CBS, NBC, PBS, A&E, and E! ), providing psychological perspectives on current events, and examining issues and trends in the mental health fields. He has also worked as a professional director, producer, writer and actor in motion pictures, television and stage. He received an Emmy nomination for Outstanding Performance in a Network Television Series, and he was a guest star on the television series "Cheers," where he portrayed the leader of Frasier's low self-esteem group.